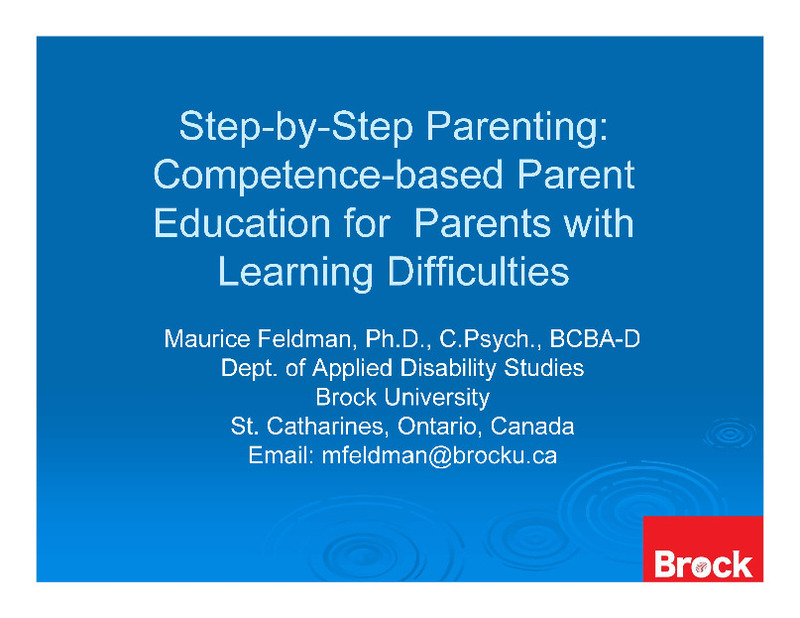 The purpose of this study is to determine a strategy to build systems’ capacity to accommodate the support and learning needs of parents with intellectual impairment and, in turn, improve the life chances of their children. One objective is to investigate the support needs and service utilisation patterns of parents with intellectual impairment. Another objective is to examine the pathways of parents with intellectual impairment into and within the child and youth protection system. The study will highlight strengths upon which to build (e.g., established inter-agency working relationships), as well as service gaps and other systems’ capacity building needs. On September 21, 2017 a half-day research launch of the Quebec phase of the project was held at the CUISSS-ODIM. Approximately 50 invited participants attended including parents and users, leading researchers, practitioners, and directors in the service and community sectors. This project is partially supported by funding from the Social Sciences and Humanities Research Council of Canada.